An amazing, attractive, compass that appears to defy nature as it spins… and stops in the direction of our prayers and dreams… Jerusalem! No computer chips, no circuitry, this non-electric, patent-pending device, appears to defy the laws of nature to point directly toward Jerusalem from any place you are in the world. 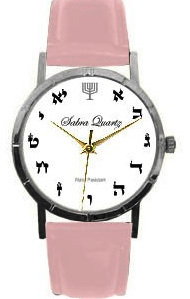 Now you will always know the correct direction for your daily prayers anywhere in the world. The incredible Jerusalem compass makes a beautiful gift! (Rav Moshe Halbershtam, shlit"a, Rav Moshe Sternbuch, shlit"a, Rav Yosef Lieberman , shlit"a).